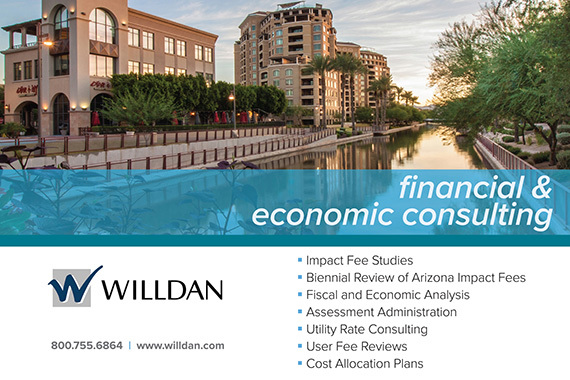 We are looking forward to seeing everyone in Tucson for the GFOAz Summer Conference, August 8 – 10! Presentations and handouts will be available on the GFOAz website and conference mobile app as the conference dates get closer. Thank you to all of our wonderful GFOAz Sponsors for their support! Please click here to view a full list of our 2018 GFOAz Sponsors. Pre-registration for the conference has closed; however, registration will be accepted on site. Please e-mail ewebb@azleague.org if you need to receive a registration form. Volunteer for a GFOAz Committee! Welcome Dr. Kenneth MacFarland to the GFOAz Board of Directors! 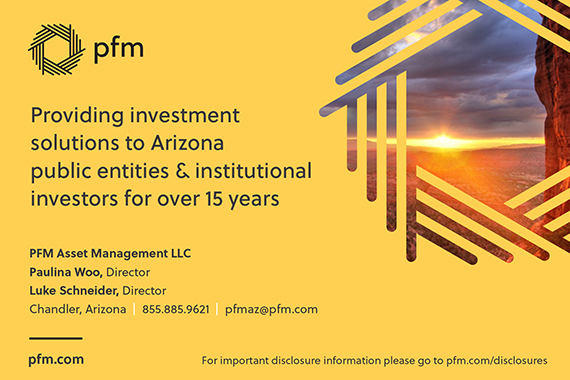 Elected to fill an open board seat, MacFarland was voted upon by the GFOAz Board of Directors to fulfill the remainder of the term. Kenneth is the La Paz County Accounting Operations Manager. 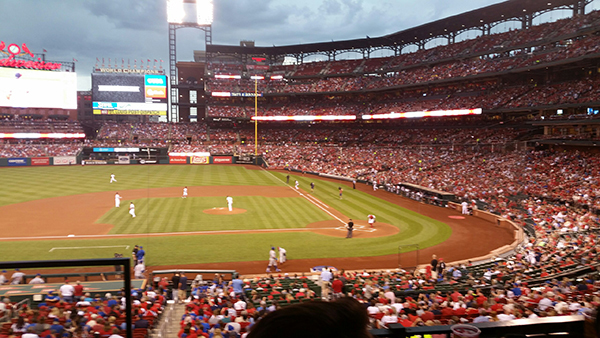 Congratulations to Peoria – GFOA Award Winner! 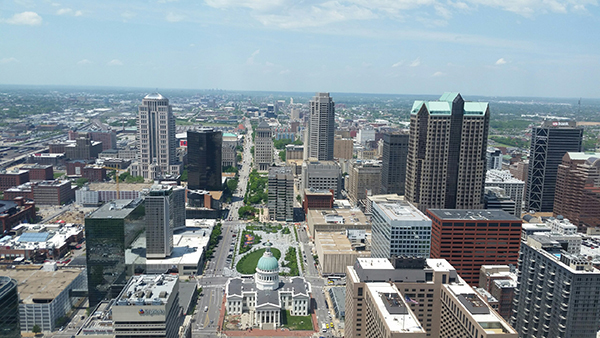 The City of Peoria, in competition with several major cities across the country, including Denver, CO and Kansas City, MO, was recently recognized for its best practices. The city was awarded the 2018 Award for Excellence in Government Finance for Exceptionally Well Implemented Best Practice in Economic Development Agreement Monitoring System. 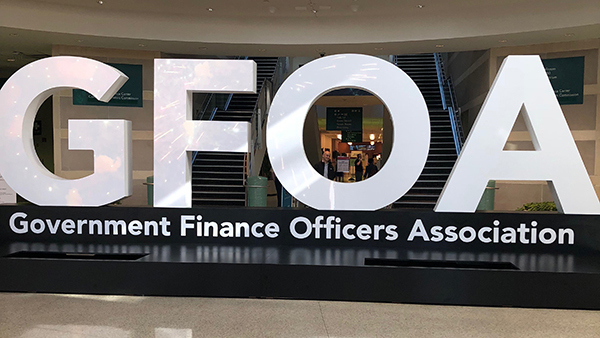 The Government Finance Officers Association of the United States and Canada (GFOA) promotes excellence in state and local government financial management. One of the ways they do this is by awarding state and local governments with GFOA’s most prestigious award, Awards for Excellence in Government Finance, that recognizes contributions to the practice of government finance that exemplify outstanding financial management. For this particular award, the city of Peoria was acknowledged for exceptionally well-implemented GFOA best practices in addition to creative solutions to common challenges. For more information regarding GFOA’s Awards for Excellence Program, visit www.gfoa.org/awardsforexcellence. Thank you GFOAz for the scholarship! I am pleased to state that the conference met my expectations and I am very pleased that I was able to attend. As a result of the classes, my depth of understanding on the following topics grew: debt management, ERP implementation, capital project management, treasury management, internal controls, and staff engagement. I learned accounting principles and gained insights into how other municipalities are finding success and adapting to our changing environments. I also learned about educational resources (through GFOA and other entities) that are available to my staff and me. I intend on encouraging my staff and I to use these resources to improve our ability to serve our community and our employer. Furthermore, I benefited from making connections with many vendors (like GFOA) at one time who provide specific services that my town needs now and will need in the future. At the close of the conference, I was excited to return to my office and begin implementing the ideas that I received. I encourage everyone to attend at least one GFOA annual conference. GFOA’s two-hour webinars are a great opportunity for your members to train while saving on the time and expense of travel. They will be able to interact with questions or polls posed by the speakers and benefit from the slides on-hand. Register online or submit the registration form. Save with group discounts! Keep watch to GFOA’s training schedule for details about the 23rd Annual Governmental GAAP Update and the Third Annual Better Budgeting web-stream events. If you have any questions about the training, contact GFOA.